Yeah, 194 posts in the last three days (to be more Im sure) after years of no posts? Whats the deal? Trying to meet a dealer's Paypal quota? "You cant reason with him, it would be like explaining supertramp to a komodo dragon." great tutorial, thanks: macro mode... self timer, couldn't be easier. I love this thread and wish more people would read it! I would just like to add a few things. 1) im no pro. Im nowhere as skilled as OP. 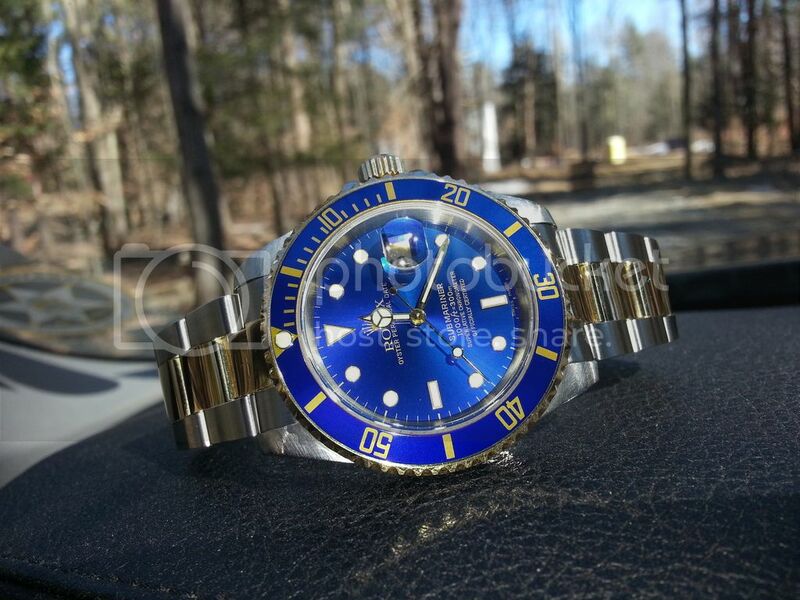 Im just a guy who love looking at watches. 2) you dont need a real camera. Every eatch pix ive ever taken is with a cell phone and ive had good phones and nit so good phones. 3) wipe off the lens of the camera phone! 4) wipe off the watch with a dry soft cloth! 5) light! Light! Light! You need great light! You need to experiment with all kinds of light! No flash! Use every lamp in your house and see how the pics look. Hold the watch right up to the light. Try diffused light, try direct light. Try clear bulbs..Use direct sunlight! 6) Hold the camera phone super steady and use the auto focus! Take as many shots as you need to get that really clear perfect shot! 7) experiment and play around with your camera settings! Macro means super close up, try it! 8) hold the camera steady! And use the autofocus! 9) hold the camera steady and use the autofocus! 10) see 8 and 9! Great info... The camera in smartphones nowadays is actually better than some point & shoot. In the past, I always had to grab my camera, but now I just carry a decent one wherever I go. Great shot of the sub. How old is it? Looks almost brand new. After look at the pics from my phone...time to pull out the DSLR...getting serious!